Jordan Lumpkins is the 2013 AAU Jr. Olympics 4th place medalist in the Long Jump! Elaina Verges is the 2013 AAU Jr Olympics Bronze medalist in the Racewalk! 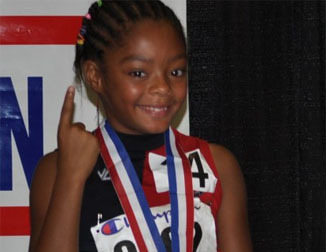 Robyn Moore is the 2013 AAU Jr. Olympics Silver Medalist in the 12/13 year old girls Combine! Nia Lyles is the 2013 AAU National Champion in the 11 year old girls Shot Put and she placed 3rd in the Discus! 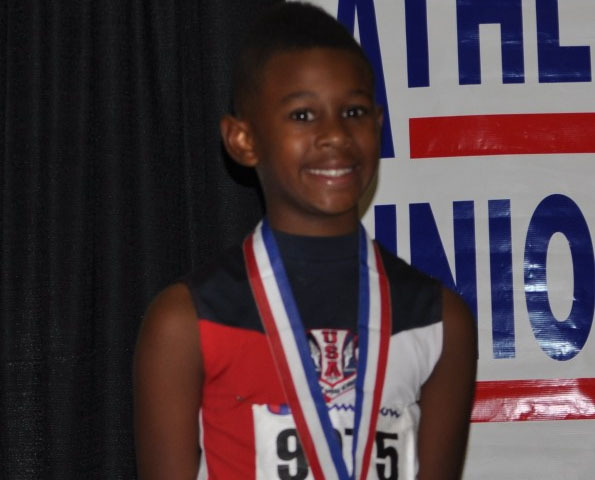 Keshon Campbell is the 2013 AAU National Champion in the 11 year old boys Multi-Events and he placed 2nd in the 80m Hurdles!